Do you like Gem Invasion? Share it with your friends. 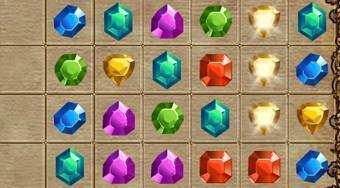 Invasion of diamonds or a game named Invasion will enchant every lover of the games such as match three. Search the combination of diamonds in the game field, with which you can create a line of at least 3 diamonds of the same kind.